Red cristalina de la coesita, un mineral derivado del cuarzo, presente en el cráter Vredefort. Se forma cuando las condiciones de presión son muy altas, como en los impactos meteoríticos. Los átomos rojos son oxígeno, y los grises silicio. Afloramiento de cromititas (color oscuro) y anortositas (color gris) en el complejo ígneo de Bushveld. ↑ a b Elston, W. E. «The Proterozoic Bushveld Complex, South Africa: Plume, astroblem or both» (en inglés). Universidad de Nuevo México. Consultado el 25 de abril de 2010. (enlace roto disponible en Internet Archive; véase el historial y la última versión). ↑ Geology.com. «The Vredefort Dome. Largest and Oldest Clearly-Visible Meteor Impact Structure» (en inglés). Consultado el 11 de marzo de 2010. ↑ a b Turtle, E. P. & Pierazzo, E. (1998). «Constraints on the size of the Vredefort impact crater from numerical modeling». Meteoritics & Planetary Science (en inglés) 33. 1086-9379, 483-490. ↑ a b Earth Impact Database. «Africa» (en inglés). Consultado el 11 de marzo de 2010. ↑ PARYS. «The Vredefort Dome Centre of the World’s Largest Meteorite Impact Structure!» (en inglés). Archivado desde el original el 8 de abril de 2009. Consultado el 12 de marzo de 2010. ↑ UNESCO. «Vredefort Dome» (en inglés). Consultado el 12 de marzo de 2010. ↑ Reimold, W. U. & Coney, L. (1961). «Vredefort Ring Structure: Meteorite Impact Scar?». The Journal of Geology (en inglés) 69. 0022-1376, 499-516. ↑ a b c d Dietz, Robert S. (2001). «The Vredefort Impact Structure and directly related subjects: an update bibliography». Economic Geology Research Institute (en inglés) 353. 1-36. (enlace roto disponible en Internet Archive; véase el historial y la última versión). ↑ Leroux, H.; Reimold, W. U. & Doukhan, J. C. (1994). «A TEM investigation of shock metamorphism in quartz from the Vredefort dome, South Africa». Tectonophysics (en inglés) 230. 0040-1951, 223-239. Archivado desde el original el 24 de abril de 2010. Consultado el 13 de marzo de 2010. ↑ a b c d Bisschoff, A. A.; Mayer, J. J. (1999). The geology of the Vredefort dome : (explanation of sheets 2627CA, CB, CD, DA, DC, 2727AA, AB, BA - Scale 1 : 50000). Geological Survey of South Africa. ISBN 1875061606. Archivado desde el original el 24 de abril de 2010. ↑ Gibson, Roger L.; Reimold, W. U.; Ashley, Andrew J. & Koeberl, Christian (2002). «Metamorphism on the Moon: A terrestrial analogue in the Vredefort dome, South Africa?». Geology (en inglés) 30. 0091-7613, 475-478. ↑ Kelley, S. P. & Spray, J. G (1997). «A late Triassic age for the Rochechouart impact structure, France». Earth and Planetary Science Letters (en inglés) 32. 1086-9379, 629-636. ↑ El Goresya, Ahmed & Chao, E.C.T. (1976). «Evidence of the impacting body of the Ries crater — the discovery of Fe-Cr-Ni veinlets below the crater bottom». Meteoritics & Planetary Science (en inglés) 31. 0012-821X, 330-340. ↑ Baldwin, Mike (2006). «Wells Creek Impact Crater». MAGS Rockhound News (en inglés) 52. 9. ↑ Gay, N. C. (1976). «Spherules on Shatter Cone Surfaces from the Vredefort Structure, South Africa». Science (en inglés) 194. 0036-8075, 724-725. ↑ Wieland, F.; Reimold, W.U. & Gibson, R.L (2006). «New observations on shatter cones in the Vredefort impact structure, South Africa, and evaluation of current hypotheses for shatter cone formation». Meteoritics & Planetary Science (en inglés) 41. 0012-821X, 1737-1759. (enlace roto disponible en Internet Archive; véase el historial y la última versión). ↑ Mayer, Joe. «The Vredefort Structure» (en inglés). Archivado desde el original el 10 de octubre de 2007. Consultado el 6 de abril de 2010. ↑ Nieto-Samaniego, Ángel; Alaniz-Álvarez, Susana A. & Tolson Jones, Gustavo (2003). «Características y criterios de identificación de las pseudotaquilitas asociadas a la falla de Los Planes, La Paz, B. C. S.». Geos 23. 0186-1891, 295-301. Archivado desde el original el 24 de agosto de 2009. ↑ Martini, J. E. J. (1978). «Coesite and stishovite in the Vredefort Dome, South Africa». Nature (en inglés) 272. 0028-0836, 715-717. ↑ Halvorson, K. McHone, J.F. (1992). «Vredefort coesite confirmed with Raman spectroscopy (abstract)». Lunar and Planetary Science (en inglés). XXIII. 477-478. ↑ Reimold, W.U. ; Leroux, Hugues & Gibson, R.L (2002). «Shocked and thermally metamorphosed zircon from the Vredefort impact structure, South Africa: a transmission electron microscopic study». European Journal of Mineralogy (en inglés) 14. 0935-1221, 477-478. Archivado desde el original el 9 de diciembre de 2012. ↑ Kamo, S.L. ; Reimold, W. U.; Krogh, T. E. & Colliston, W. P. (1996). «A 2.023 Ga age for the Vredefort impact event and a first report of shock metamorphosed zircons in pseudotachylitic breccias and Granophyre». Earth and Planetary Science Letters (en inglés) 144. 1086-9379, 369-387. ↑ Grieve, R.A.F. ; Coderre, J.M. ; Robertson, P.B. & Alexopoulos, J. (1990). «Microscopic planar deformation features in quartz of the Vredefort structure: Anomalous but still suggestive of an impact origin». Tectonophysics (en inglés) 171. 0040-1951, 185-200. ↑ Buchanan, P. C. & Reimold, W. U. (2001). «Lithic Clasts in the Vredefort Granophyre (abstract)». Lunar and Planetary Science (en inglés). XXXII. 1070-1071. ↑ Barnes, Sarah-Janes & Maier, Wolfgang D. (2002). «Platinum-group Elements and Microstructures of Normal Merensky Reef from Impala Platinum Mines, Bushveld Complex». Journal of Petrology (en inglés) 43. 0022-3530, 103-128. ↑ Kinnaird, Judith A. 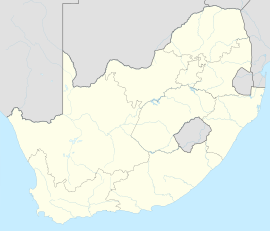 «The Bushveld Large Igneous Province» (en inglés). Universidad de Witwatersrand. Archivado desde el original el 28 de agosto de 2008. Consultado el 24 de abril de 2010. ↑ Elston, W. E. & Twist, D. (1998). «Proterozoic Bushveld-Vredefort Catastrophe: Possible Causes and Consequences». Topical Conference on Global Catastrophes in Earth History: An Interdisciplinary Conference on Impacts, Volcanism, and Mass Mortality. Abstract (en inglés). 44-45. ↑ Elston, W. E. (1992). «Does the Bushveld-Vredefort system (South Africa) record the largest known terrestrial impact catastrophe?». Lunar and Planetary Inst., International Conference on Large Meteorite Impacts and Planetary Evolution (en inglés). 23-24. ↑ French, Bevan M. & Hargraves, Robert B. (1971). «Bushveld igneous complex, South Africa: Absence of Shock-metamorphic effects in a preliminary search». The Journal of Geology (en inglés) 79. 0022-1376, 616-620. ↑ Buchanan, P. C. & Reimold, W. U. (1998). «Studies of the Rooiberg Group, Bushveld Complex, South Africa: No evidence for an impact origin». Earth and Planetary Science Letters (en inglés) 155. 1086-9379, 149-165. Anguita, Francisco (2003). «2. Barringer, Vredefort, Sudbury, Chicxulub, Azuara: epílogo de cinco batallas». En Anguita, Francisco & Castilla, Gabriel. Crónicas del sistema solar. Equipo Sirius. p. 248. ISBN 9788495495396. Fleminger, David (2008). Vredefort Dome (en inglés). 30° South Publishers. p. 142. ISBN 0958489149. Gibson, R. L.; Reimold, W. U. (2006). «10. Deeply exhumed impact structures: A case study of the Vredefort structure, South Africa». En Koeberl, Christian; McDonald, Iain & Reimold, Wolf Uwe. Impacts and the Early Earth (en inglés) (1ª edición). Springer. p. 445. ISBN 9783540670926. Kula C., Misra (2000). Understanding mineral deposits (en inglés). Springer. p. 845. ISBN 9780045530090. Reimold, W. U.; Colliston, W. P. (1994). «16. Pseudotachylites of the Vredefort Dome and the Sorrounding Witwatersrand Basin, South Africa». En Dressler, B. O.; Grieve, R. A. F. & Sharpton, V. L. Large Meteorite Impacts and Planetary Evolution (en inglés) (1ª edición). GSA. p. 348. ISBN 0813722934. Turtle, E. P.; Pierazzo, E.; Collins, G. S.; Osinski, G. R.; Melosh, H. J.; Morgan, J. V. & Reimold, W. U. (2005). «Impact structures: What does crater diameter mean?». En Kenkmann, Thomas; Hörz, Friedrich & Deutsch, Alexander. Large meteorite impacts III (en inglés) (1ª edición). GSA. p. 476. ISBN 9780813723846. Wikimedia Commons alberga una categoría multimedia sobre Cráter de Vredefort. Mapa del domo de Vredefort. (enlace roto disponible en Internet Archive; véase el historial y la última versión). Imágenes del cráter de Vredefort de la web de HartRAO. El cráter de Vredefort en World Heritage Site. Artículo sobre el cráter de Vredefort en la web SouthAfrica.info. Esta página se editó por última vez el 12 ago 2018 a las 08:53.